Many taxpayers may be surprised to learn that they owe taxes on some of the gifts they give. But be prepared for your initial surprise to be replaced with an even bigger revelation – you may be able to give a whopping $5.6 million in gifts during your lifetime without ever paying a penny of gift tax. So you don’t have to let the concern for paying taxes on your gifts rob you of the joy of giving. And if you’re the recipient of a gift, there’s even better news – the IRS extends another surprise to you in the form of a gift tax exemption. Because the IRS does not consider gifts as income, you’re not required to pay income taxes on the gifts you receive. Gift taxes are based on the types of gifts, the amounts of gifts and the time frames during which the gifts are given. Although your personal definition of a gift may vary, the IRS definition of a gift (for income tax purposes) is fairly broad in scope. The IRS considers a gift as any transfer of real or personal property that you make to someone, as long as you are not reimbursed or otherwise fully compensated. For example, reimbursement can be with money or other compensation that the IRS defines as "money's worth," which may include goods or services you receive. Real property, commonly called real estate, is land and anything that’s attached to it or built on it. Real property can be tangible, such as a building, or intangible, such as an easement. Personal property is distinguished from real property because it is typically considered movable. A gift of personal property may include jewelry, household items or vehicles. Money is also considered a gift of personal property. The federal gift tax is a tax that’s imposed on the transfer of property, which does not include return compensation for the property. The donor (the one giving the property) and not the donee (the one receiving the property) is responsible for the tax. This property is considered a gift, even if the donor doesn't intend it as a gift. Property may also be considered a gift if you sell it for less than its full value. What Are Gift Tax Limits? Gift tax limits are also called exclusions because the gifts you give within these limits are excluded from taxation. For most taxpayers, these limits are quite robust. The IRS has also established numerous gift exclusion categories, which are based not only on the dollar values of gifts but also the time frames of giving the gifts. In 2018, the annual gift exclusion gives you a per-person tax-free gift limit of $15,000. What this means is that you can give up to $15,000 to an unlimited number of people during the tax year without having to pay a gift tax. You don’t even have to report this gift (or gifts) on your income tax return. This annual exclusion applies to each taxpayer, so if you’re married, you and your spouse can each give up to $15,000 per person, tax-free. For example, you can give your mother $15,000 for her birthday and your spouse can also give her $15,000 for a very generous $30,000 birthday gift that’s tax-free for both you and your spouse. And if you want to give a year-end gift that's even more generous than the combined spousal gift of $30,000, you and your spouse could each give $15,000 to someone on Dec. 31. The next day, on Jan. 1, each of you could gift an additional $15,000 to the same person ($30,000 total) for a combined gift of $60,000 over a two-day period. Because each of these calendar dates falls in different tax years, the entire $60,000 would be tax-free. In 2018, the IRS also allows a lifetime exclusion of $5.6 million in addition to the annual exclusion of $15,000. Married couples may give $5.6 million each, for a total of $11.2 million. That’s a hefty sum all by itself, but it’s an even sweeter deal when you realize that this multi-million-dollar limit is above and beyond the collective amount you can give with the sum of your annual exclusions. As an example, if you give your mother $20,000 in 2018, $15,000 of that amount is considered a tax-free gift under the IRS annual exclusion. But you still won’t pay tax on the remaining $5,000, because you can count that toward your lifetime exclusion of $5.6 million. In metaphorical terms, all overages you gift beyond each tax year’s annual exclusion get placed in a pot. And it’s only if this pot amount exceeds $5.6 million (or $11.2 million for married couples) during your lifetime that you’ll owe any gift tax. Rounding out the IRS list of gift exclusions are certain tax-free unlimited gifts. Even though you may pay for your grandchild’s education or pay for a friend’s medical costs with what you’d consider a financial gift, the IRS doesn’t require you to include these payments in your annual or lifetime gift exclusion amounts. Certain qualifying educational and medical costs are covered under the unlimited tax-free exclusion guidelines, in addition to two other types of transfers. Refer to the instructions for IRS Form 709 (United States Gift and Generation-Skipping Transfer Tax Return) for more details on these types of transfers that are not subject to the gift tax. Educational. Only the cost of tuition is allowed as an unlimited tax-free gift, and you’ll have to make tuition payments directly to the school (instead of to the student). You cannot include other educational costs such as room and board, books and school supplies in the unlimited exclusion. But you can pay for these costs with a tax-free gift that you make directly to the student, the amount of which may go toward your annual exclusion. The school must be a qualified educational organization as defined in the IRS Code, Section 2503(e). Examples of qualifying schools include those with a curriculum of study, a regular faculty and a regularly enrolled group of students. Medical. You’ll have to make medical payments directly to a medical care provider on behalf of someone (instead of paying the individual), and the type of medical care must meet the guidelines in Section 213(d) of the IRS Code. Examples of qualifying costs include diagnosing, treating, preventing and curing diseases or illnesses. Political. You can make unlimited gifts to a political organization, as defined in Section 527(e)(1) of the IRS Code. Certain tax-exempt organizations. You’re allowed an unlimited amount of tax-free gifts to certain organizations as outlined in various Sections 501(c) of the IRS Code. Examples include civic organizations, horticultural organizations and business leagues. The organization must also be classified as tax-exempt under Section 501(a) of the IRS Code. Are Gifts Tax-Free to Children? Although your child must meet IRS guidelines as a qualifying child or eligible dependent before you can claim certain tax credits, you won’t have to jump through this hoop before giving your child tax-free gifts. It’s a level playing field where gifting money is concerned – your child receives no special consideration. This means that the same gift tax exclusion limits equally apply to everyone who is on the receiving end of your generosity. Are Gifts Tax-Free to Spouses? 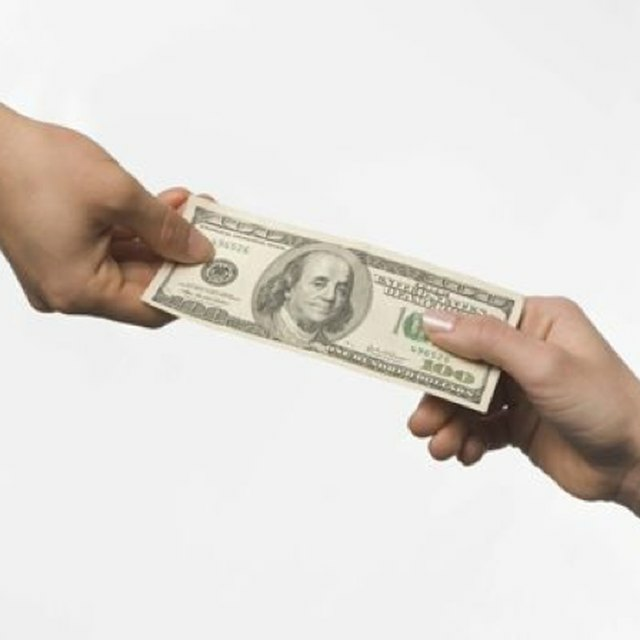 For married couples who may have an occasional squabble about money, the gift-tax exclusion for spouses may quell an argument or two. You can give your spouse an unlimited amount of money or gifts (no matter how lavish) without incurring a tax liability if your spouse is a U.S. citizen. So go ahead – splurge on your spouse without worrying that you’ll owe any gift taxes. If your spouse is not a U.S. citizen, you're allowed to give up to $152,000 each year, tax-free. What About Gifts to Charities? You can claim tax deductions for the gifts you make to certain charities and other qualified organizations, unlike the gifts you bestow, for example, to your friends and family members. An organization must be IRS qualified for you to claim the tax deduction. Examples include churches and temples, museums, the American Red Cross and Goodwill Industries. IRS Publication 526 (Charitable Contributions) offers guidelines for eligible gifts that qualify as tax deductions. You can also visit IRS.gov and type “tax-exempt organizations” in the search box. When the page loads, follow the prompts to research a specific organization. Your gifts will not saddle the recipients with a tax liability. It is you who must pay taxes on the gifts you give – but only on the amount that exceeds your lifetime gift exclusion. In some instances, however, your recipient may agree to pay your gift tax. To set up this special arrangement, you’ll need to consult a tax professional. How Do I Report Gifts? You don’t have to report any gift of $15,000 or less – per person for an unlimited number of persons – on your income tax return. But if you exceed $15,000 for any gift (or combination of gifts) to one person in a tax year, you’ll have to report only the overage. For example, if you give your mother $20,000, the first $15,000 is covered under the annual gift exclusion, but you’ll have to report $5,000 on IRS Tax Form 709 (United States Gift and Generation-Skipping Transfer Tax Return). Bear in mind, however, that reporting the overage does not imply you have to pay tax on this amount. It’s simply a record of your yearly gift amounts that exceed $15,000 per person so the IRS has an accounting of the amount that accumulates toward your lifetime exclusion. For married couples, each spouse must submit a separate Form 709. File Form 709 with your yearly tax return. If you need to file an extension for your regular tax return, you'll submit IRS Form 4868 (Application for Automatic Extension of Time to File U.S. Individual Income Tax Return) or Form 2350 (Application for Extension of Time to File U.S. Income Tax Return). But if you need to file an extension only for your gift tax return, file Form 8892 (Application for Automatic Extension of Time to File Form 709 and/or Payment of Gift/Generation-Skipping Transfer Tax) to receive a six-month extension. There’s a caveat for giving a tax-exempt gift. A gift must have present interest, which means that the recipient has immediate access to the gift. The gift cannot be conditionally accessed on any future date, which is called future interest. Your gifts must have no limiting factors for them to be tax-exempt. If you’re the co-owner of property with your name and another person’s name on the title with rights of survivorship, you’re considered joint tenants, even if you purchased the property with your money. The property is only considered a gift to the co-tenant if you give up your right to the title by relinquishing your interest in the property. If this happens, your co-tenant becomes the recipient of a gift from you in the amount of 50 percent of the property’s value. If you deposit funds into a bank account that you hold jointly with someone, these funds are not considered gifts to the other person simply because they’re in the account. But if the other person withdraws the funds you have deposited for her personal use, with no obligation to you for replacing them, the money becomes a gift. If you use your money to buy a U.S. savings bond, which is payable to you or another person, the savings bond is not a gift to the other person unless she redeems the bond and has no obligation to repay you.